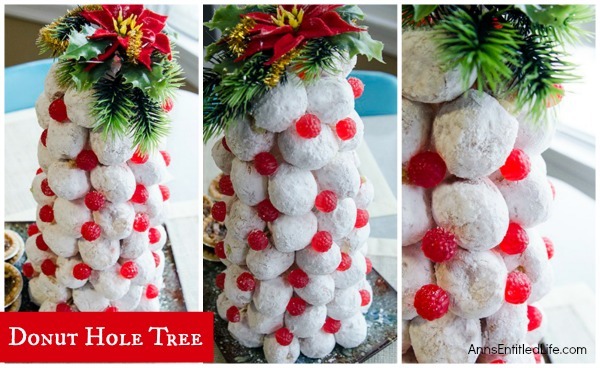 Make an adorable Donut Hole Tree for your next holiday party, Christmas breakfast, or other special occasion. 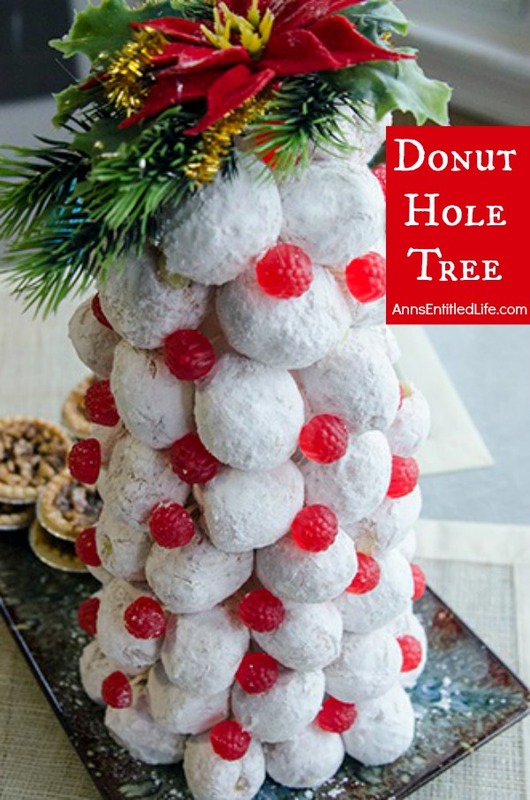 This donut hole tree can be made all year, but is especially festive during the holiday season! 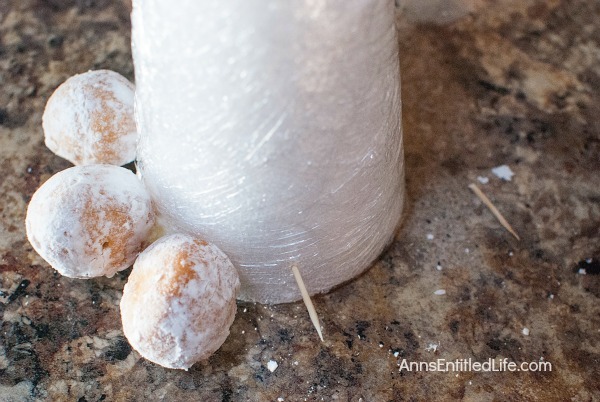 • To print the Donut Hole Tree recipe click here. 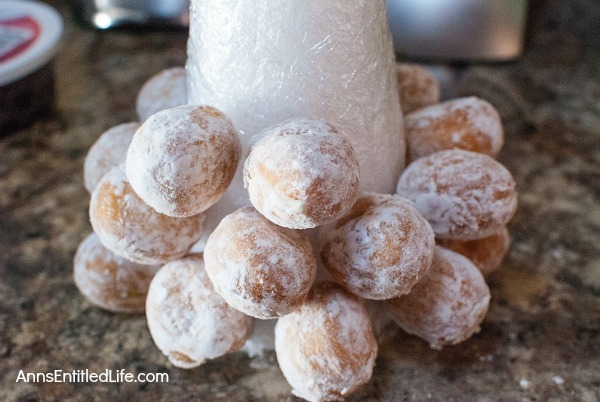 These trees were made with TimBits! Hmmmm Tim Horton’s! They can be made with any donut holes though. 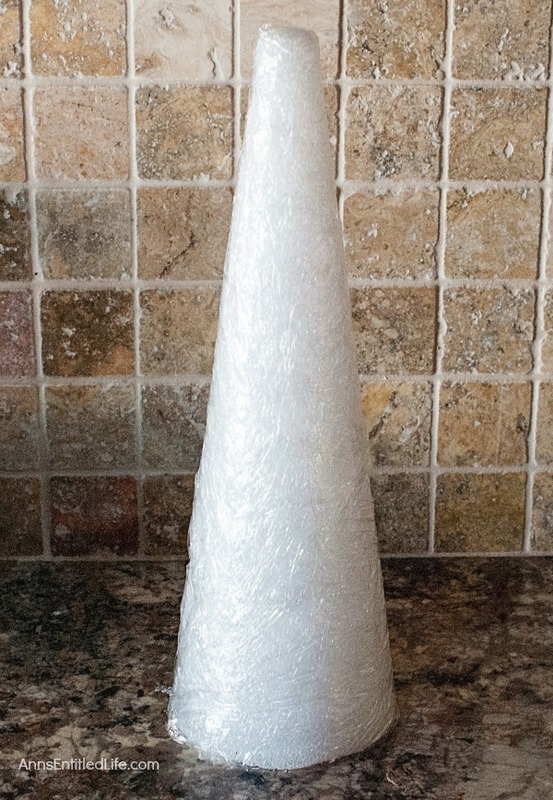 • Take two, one foot long sections of Plastic Wrap and wrap the Styrofoam Craft Cone with both sheets of plastic wrap, completely covering the cone so there are no raw edges showing. • Beginning from the bottom, stick a toothpick 2/3 of the way into the cone on a very slight angle. • Slide a donut hole onto the toothpick. You can slide it on from the end, or from the middle, but whatever way you choose, you will continue the way for the entire tree. 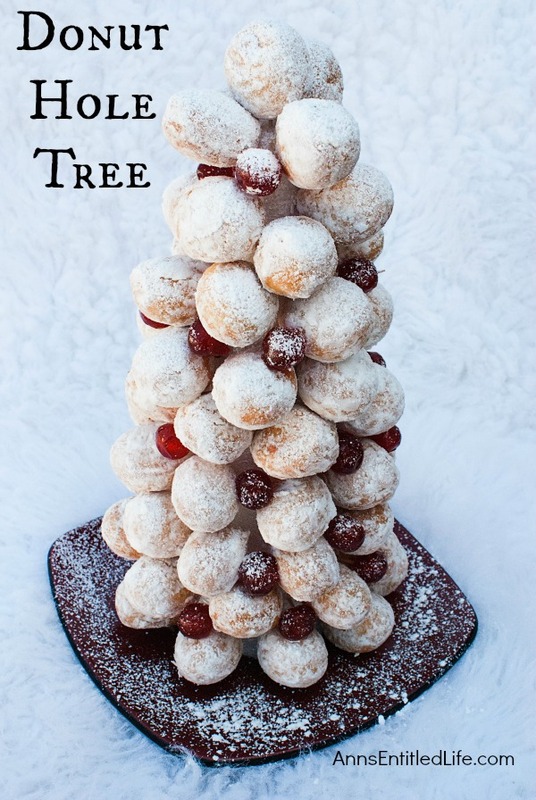 • Continue with your first row at the bottom of the tree until you reach the first donut hole you placed. • Begin with the next row up, making sure to leave enough room so the donuts are not squished, but close enough to fit nicely. • Fit the first donut hole above the two lower donut holes you placed – so on a slight offset from the first row. • Continue on in this fashion for the entire tree, until you reach the top. • You may choose to top the tree with one donut hole for a “star”. 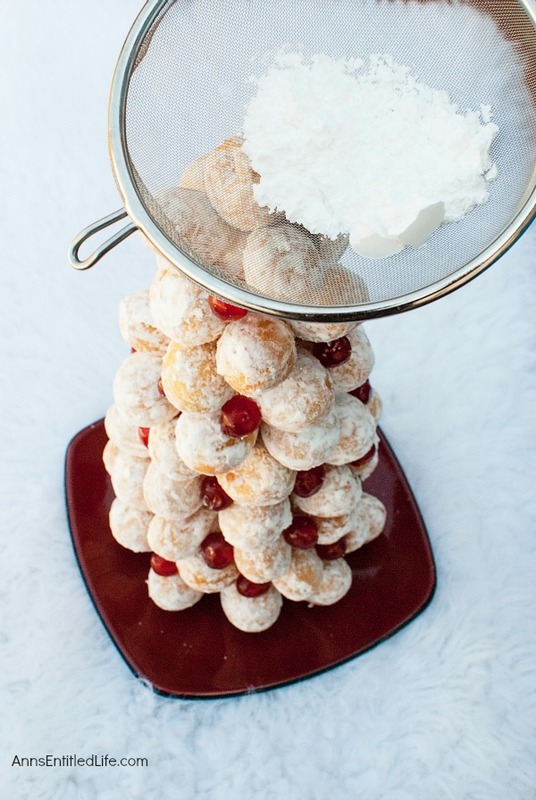 • Beginning from the bottom again, now start placing the Red Candied Cherries OR Red Raspberry Gummy Candies in the gaps that you will see between the donut holes. Do this row by row, much like the donuts, until you reach the top. 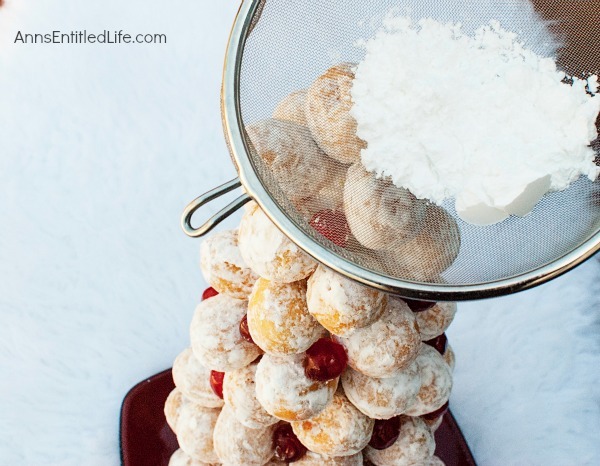 • Optional: sprinkle powdered sugar over the tree to resemble snow. 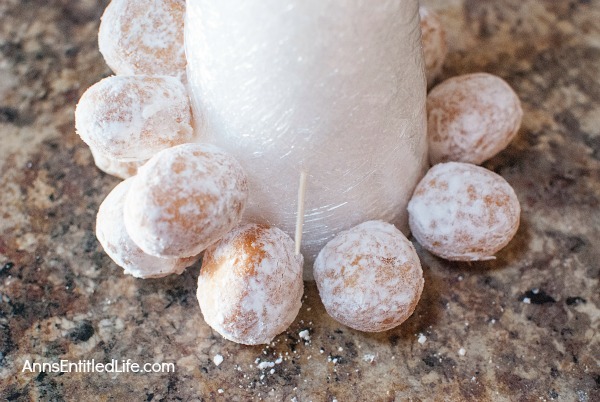 • Place any decor you are using at the top of tree on after you have powder-sugared your tree.